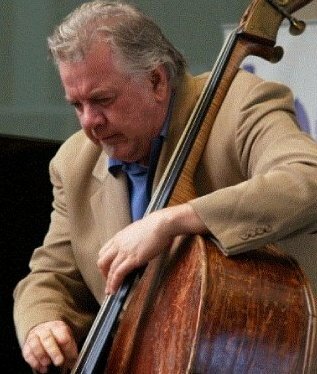 Chris Conner is a bassist, composer and arranger who began playing professionally at the age of 15. He lived in Toronto for 12 years where he played with the likes of; Rick Wilkens, Moe Koffman, Ian Bargh, Pat LaBarabra, Jim Galloway, Brian Browne, Archie Alleyne, Eugene Amaro, Ed Bickert & Rob McConnell. Chris is one of the most sought after musicians in the area. In addition to appearing at international jazz festivals as a member of Los Angeles’ Swing Savant as well as other national acts, he performs regularly at all of San Diego’s and Los Angeles’ top jazz listening rooms. He is also a long standing member of the Hollis Gentry III Acoustic Quartet & Bruce Cameron’s Latin Jazz Ensemble. Arranging and composition are two additional skills that Chris has mastered and he is involved in an assortment of writing projects with artists who represent a wide range of styles, including Bob Caldwell & Gary Puckett. The Chris Conner Sextet, a group whose repertoire features all original compositions and arrangements, was formed in early 1994. The sextet has been very well received San Diego area audiences at the KSDS/JAZZ 88 live broadcast, the Jazz Artist Guild (JAG) concerts and their regular appearances at the Horton Grand, Bristol Court and Elario’s.